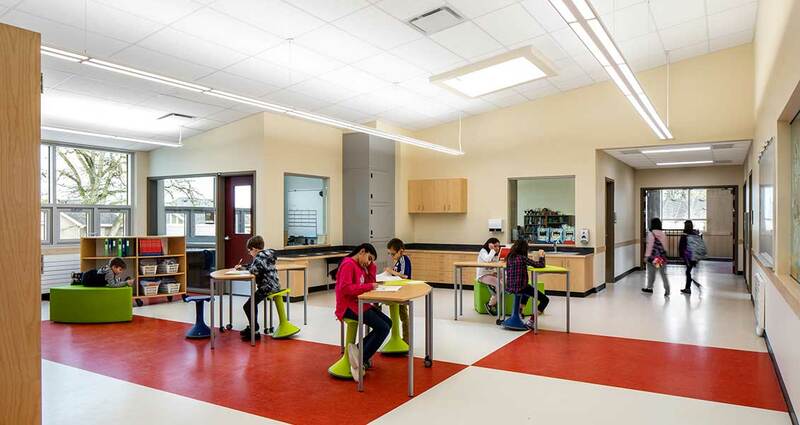 The proposed Woodward Hill Elementary School addition is an extension of the design language developed in the existing facility, both inside and out. New classrooms are organized into two learning communities of five classrooms on the upper floor and three on the lower floor. 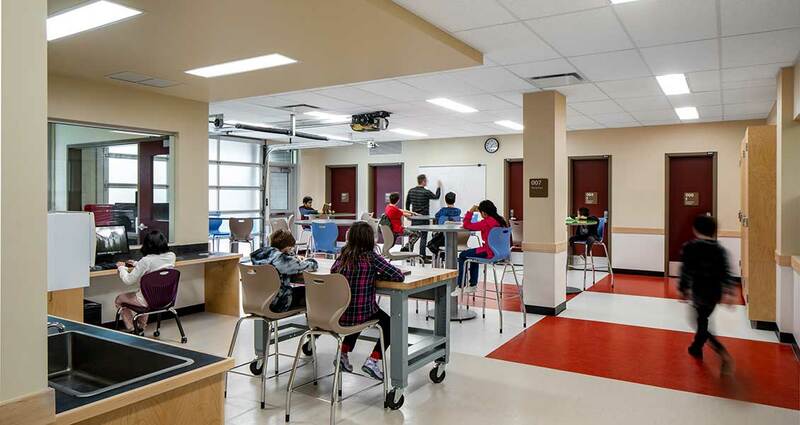 From the inside, the addition utilizes similar classroom layouts, as well as their relationships to the project spaces intended to support experiential and personalized learning. Each project space contains a breakout meeting room intended as special education support space and/or small group meeting rooms. 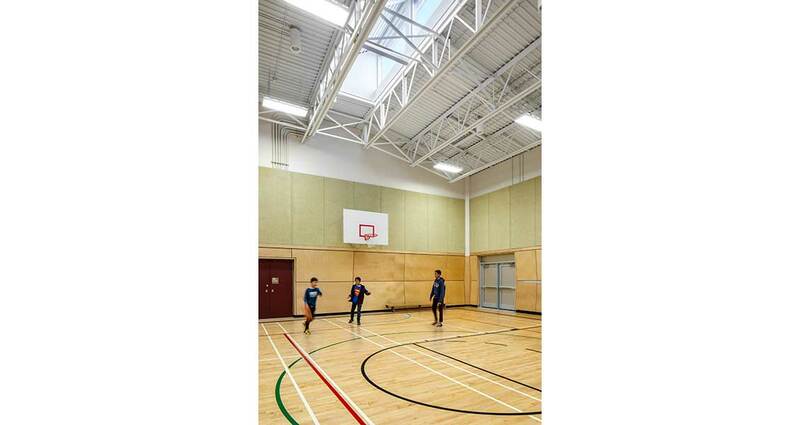 Each classroom is provided with adequate light, teaching space, millwork and necessary permeability through interior windows and/or door sidelights for visual openness and supervisory purposes. 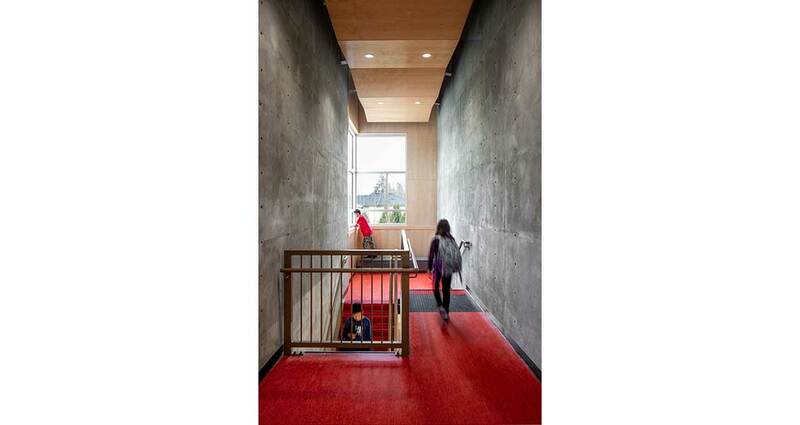 The addition is then anchored on its north end by an interesting interconnecting stair feature that serves as a path, a place to hang out inside, and a covered entry point into the school. 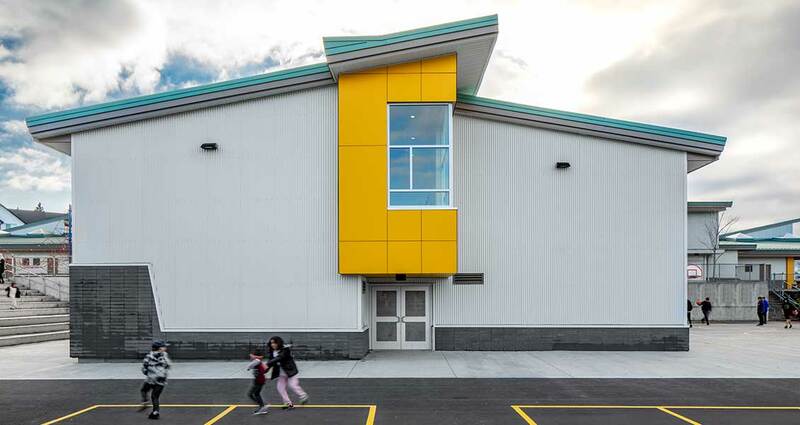 From the outside, the addition respects the existing language of the school and continues with hints of yellow accents around the windows, corrugated metal cladding as seen on the existing gym, and a brick base in similar color to the grey-brown base of the existing school. Hard landscaped play area additions can be seen as the basketball courts move north, and the existing area is reused as more hard surface play area and overflow parking. The dying grass area north east of the gym gets filled with pavers to make more room for seating and lounging areas for kids, overlooking the hard surfaced play courts. Due to the two storey massing of the new building, an interesting space is created on the south east side where Amphitheatre like seating brings the inside group area learning environment outside to an outdoor classroom. A garage door is proposed at this location to encourage movement into the landscape. One imagines that this area may be used by others in the school on special days like school fairs or field days.